Candidates who scored a minimum of 160 JAMB points at the 2018 UTME examination and have chosen Umaru Musa Yar’adua University as their first choice institution. This category must obtain a minimum of Five O’ level credits in Arts or Social Sciences, including English and Mathematics. Send an email to french.programme@umyu.edu.ng forwarding a scanned copy of your JAMB Slip, O level result and phone number. Candidates who scored a minimum of 160 JAMB points at the 2018 UTME examination but have not chosen Umaru Musa Yar’adua University as their first choice institution. This category must also obtain a minimum of Five O’ level credits in Arts or Social Sciences, including English and Mathematics. 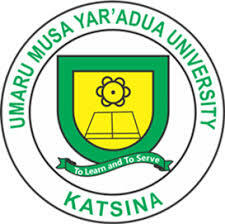 Change your first choice institution to Umaru Musa Yar’adua University; choose B. A. French programme and send an email to french.programme@umyu.edu.ng forwarding a scanned copy of your JAMB Slip, O level result and phone number.